Testing and certification specialists Raisonance and Soliatis have merged to form a new company called Keolabs that will offer end-to-end testing and certification solutions for smart cards and secure components on a global basis. “In a context of sustained business growth, Soliatis and Raisonance have chosen to merge by mutual accord and with equal participation of their respective shareholders,” the companies say. 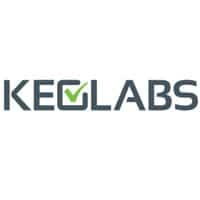 Keolabs’ product offering will include secure component validation, test suites for pre-certification and an accredited product certification centre. “This merger is a long term strategic move that combines our companies’ products and services in a way that is intuitive and optimised to meet the needs of all of our customers,” says Michael Leplatois, president of the new venture. The Soliatis Lab testing facility will now be known as the Keolabs Certification Centre, while the new firm’s microcontroller application development capabilities and validation tools will continue to be marketed under the Raisonance brand.